It really works for me. I used to drag myself out of bed in the early morning to go for running but often found myself barely walking instead, with no energy, still feeling sleepy. Now, 2 pills with a glass of water before I go out the door do all the wonders. I'm full of energy and feel like million dollars as I run along the river greeting the rising sun. And I stay fit and maintain the same weight (110 lb., 5'3", F, 30 yrs) even though I started to eat slightly more, having noticed that my metabolic rate has been increased. That is, now I'm enjoying nice lunch instead of eating leafy salad all the time for my lunch. Isn't it great! This stuff sure seems to enhance the results I get from eating right and working out. It did take a couple of weeks to work. And maybe it's placebo; who knows...but so far I've gotten exactly what I was hoping for: increased metabolism without jitters, insomnia or headaches. I have only been taking for a little ver a week and i must say it is a great product. I have noticed my appetite has been supressed and I have enough energy after a 9 hour work day to go straight to the gym. i am in good shape but wanted to get really lean. I work out and im a freak when it comes to dieting. this product did absolutly nothing but give me a headache and made me feel spacey. I definately would not recommend this product. On the 1st bottle it didnt seem like much was happening.now I am on my 2nd bottle and I've dropped a few pounds and a lost a coulpe inches on my waste..I think this is worth a try. oh yea a few days I ate like crazy and didnt go to the gym and still had results, so if you try it,stick to it, give it time, its working for me. I just started this week with this supplement. I will keep you posted in a month if this really works, or its full of hype. But I'm hoping it does work to lose some mush. I just tried System 7 and have not been impressed. I used to get great results on the ephedra based products, but this showed no noticable results. I run about 5 - 6 times a week and it gave me no boost at all either on weight or energy. I just bought my first bottle of Hot Rox to try and will see how that works. Well, after only taking Lean System 7 for a week, my body seems to not want to coupe with this particular substance. I get frequent gas and greenish diarrhea. I've never taken any type of dietary supplement before so I'd figure I try this one. I’m a pretty health and fit guy. I lift 2 to 3 times a week and run 3 times a week, I just want to lose a little body fat. Maybe my body is just not use to this product but I may have to discontinue usage if these symptoms persist. Being alergic to Silica,my choice of fat burners is very limited, so imagine my joy on finding one without silica THAT ACTUALLY works. I have been taking LS7 since August last year, I have lost 10lbs,my stomach is flat, my muscles are very defined, I have lots of energy and best of all I've not experienced any side effects. I reccomended it to a friend who's now lost 42lbs. I've been using this for a couple months now, and I've noticed definite changes. I have more cut muscle tone in my arms, shoulders and stomach, and more energy when I work out. I'm not sure about weight and body fat loss since I don't really measure either...but this stuff does work. The only side effect is that it can keep you up at night if you take it too late in the day, but I have a history of insomnia so that might not be typical. 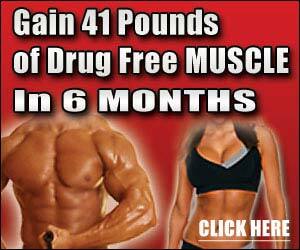 I Have tried five or six different weight loss supplements with a healty diet an literately experienced zero results. Two months on Lean System 7 I lost Ten pounds and three an a half inches on my stomach. I just started lean system 7 and so foar there are no side effects. I have heard that this product is doing wonders for so many people and is safe. I will let you know if it is successful for me as well.